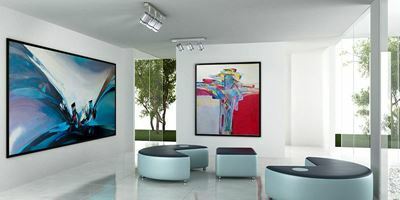 The explosion of digital inkjet printing has made it easier for people with little understanding of fine art reproduction and print longevity to create “art prints”. Poor-quality reproductions do not stay true to their original color and quickly yellow and fade from exposure to sunlight. How can consumers of art prints be guaranteed of print quality? The ArtSure Certification gives your customers that assurance. ArtSure certified media has been independently tested for archival properties of lightfastness and permanence. Since 1847, the Fine Art Trade Guild has been the world’s leading independent print registration authority ensuring the highest standards for fine art prints giving art collectors and artists confidence and validity in limited edition prints including the use of approved materials such as Kodak Photo Papers. Only Guild members can participate in the ArtSure Certification Program. Proudly display the ArtSure logo on your advertising material, website and email campaigns. Download the ArtSure Certificate: https://kodak.globalbmg.com/en/support. Include the link to the Fine Art Guild’s substrate registry: http://www.fineart.co.uk/artsure-approved-materials.aspx. Target this ever-growing market of designers, architects, galleries, photographers, printers, entertainment, décor, education and fashion professionals. Inform your customers of the color saturation, quality, permanence and archival qualities of the Kodak ArtSure certified papers.